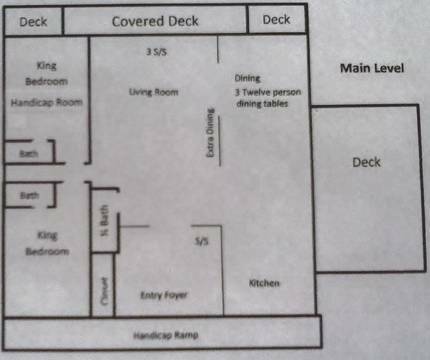 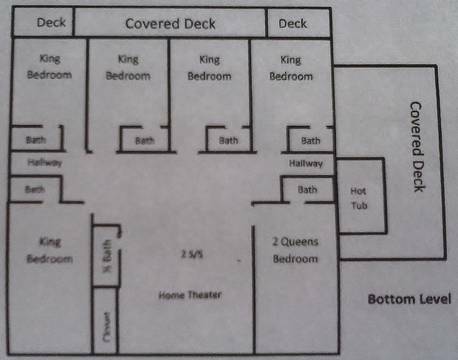 Your main level features a spacious kitchen and dining area, living area, 2 bedrooms with private baths and a hallway 1/2 bath. 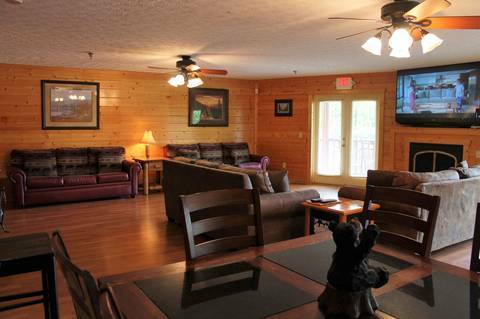 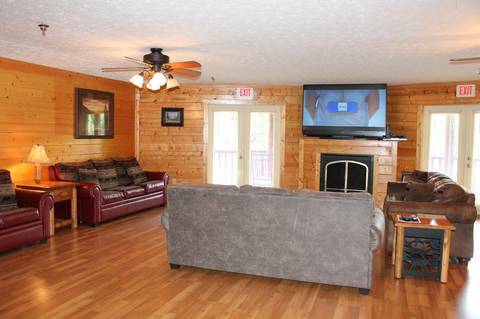 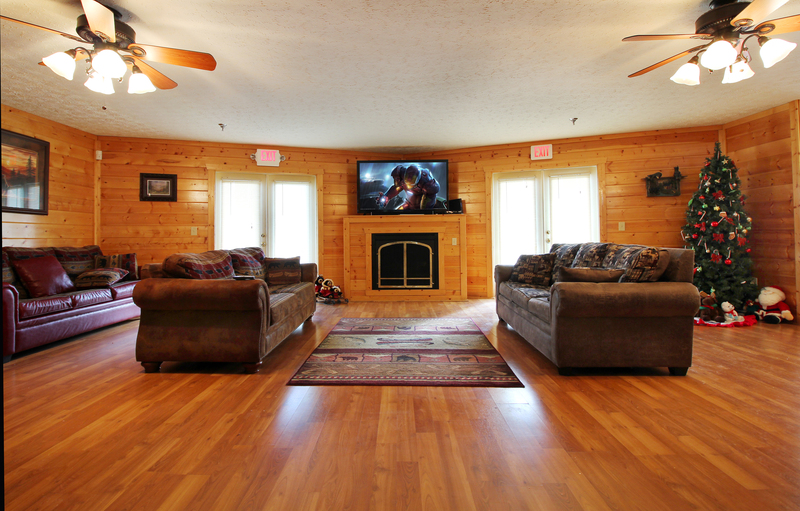 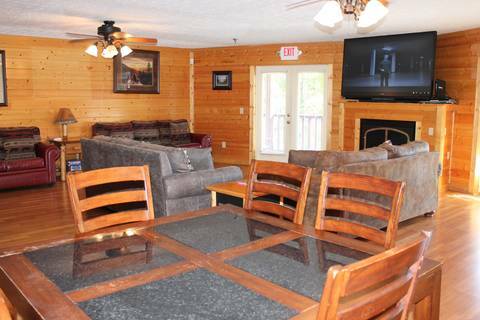 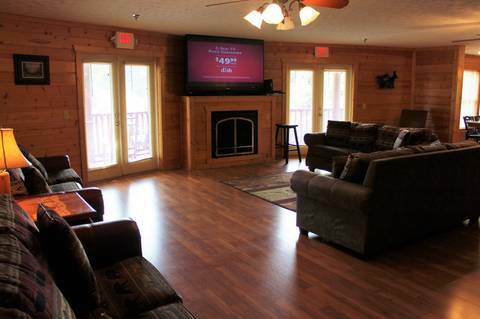 Your living area is the ideal spot to relax and visit with friends or watch the game on your high-definition, 73 inch big screen TV with VCR/DVD combo; warm and cozy fireplace; and four queen-size sleeper sofas plus an additional sleeper sofa in the spacious foyer. 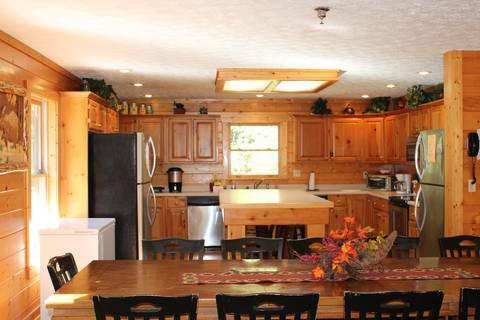 The fully-equipped kitchen and dining area are a chef's dream come true: stainless steel appliances, 2 top-of-the-line ranges, 2 refrigerators, 2 microwaves, 2 dishwashers, lots of counter space offers lots of space for preparing those big, family dinners (perfect for a holiday get-together). 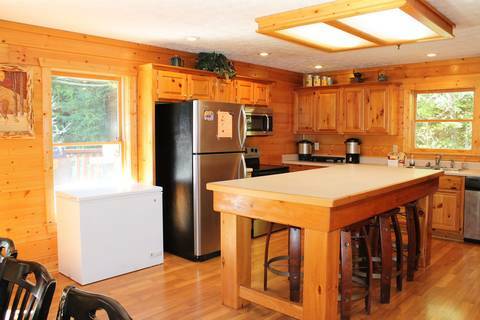 Large deep freezer included. 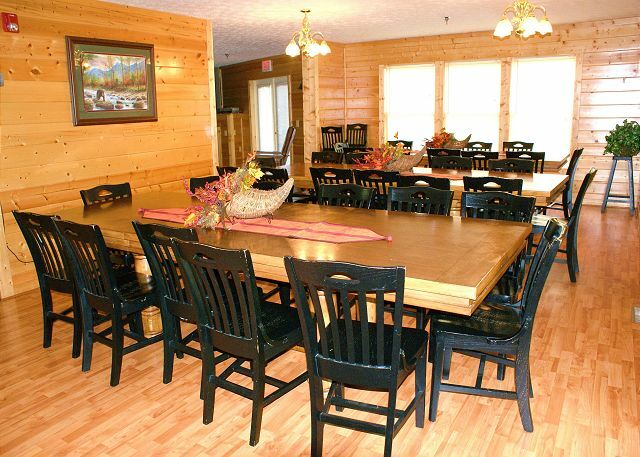 All the family can dine together in the large dining area: one 8-person table, three 12-person tables and 6-person bar area. Dining area seats 50 people. 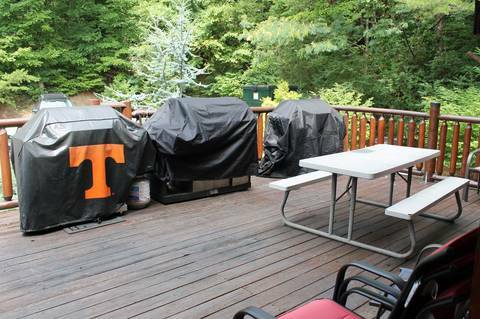 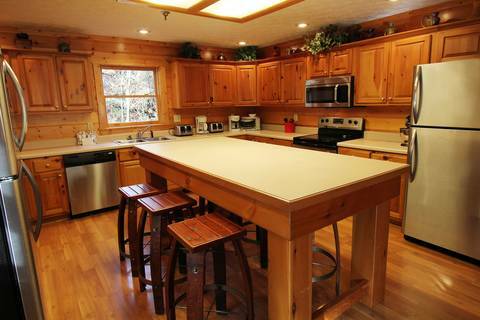 There is a deck off the kitchen with 2 gas grills. 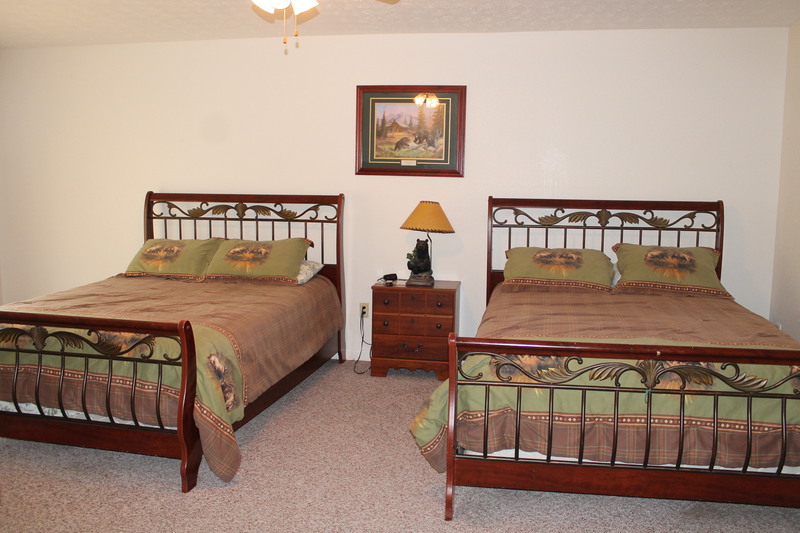 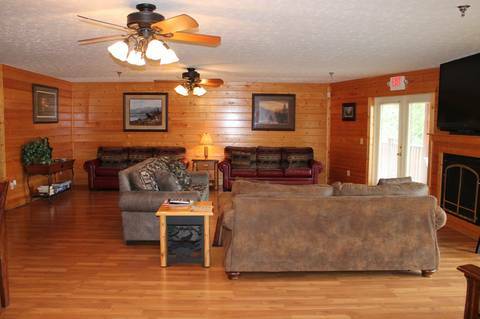 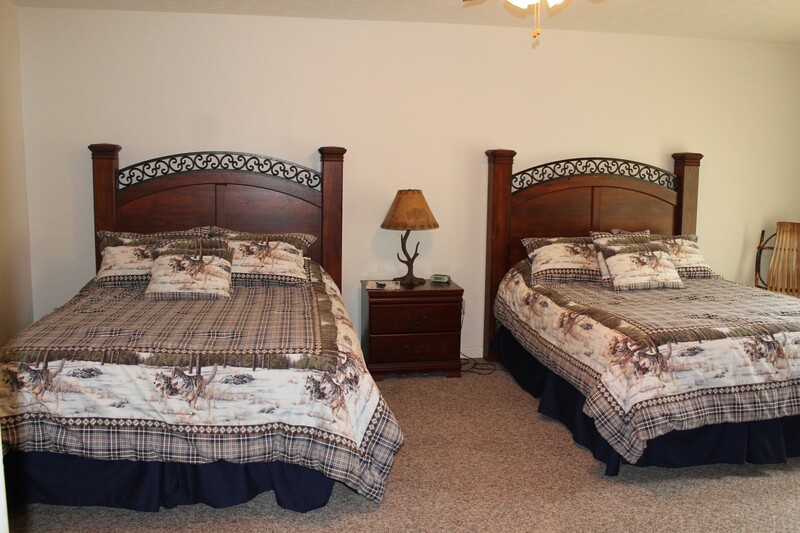 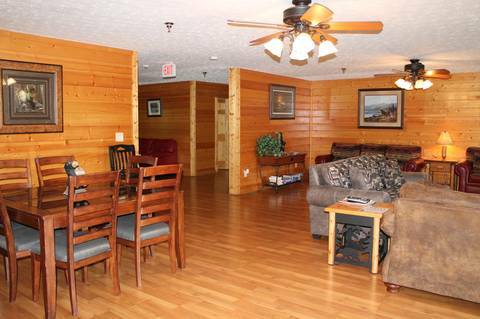 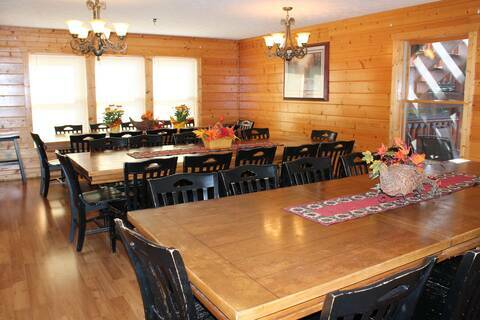 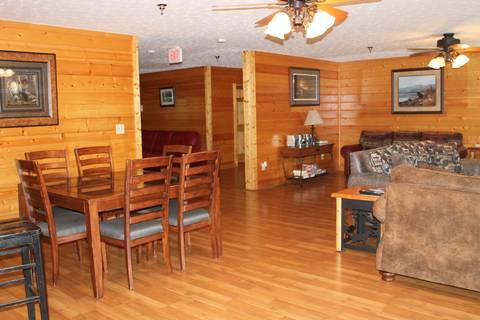 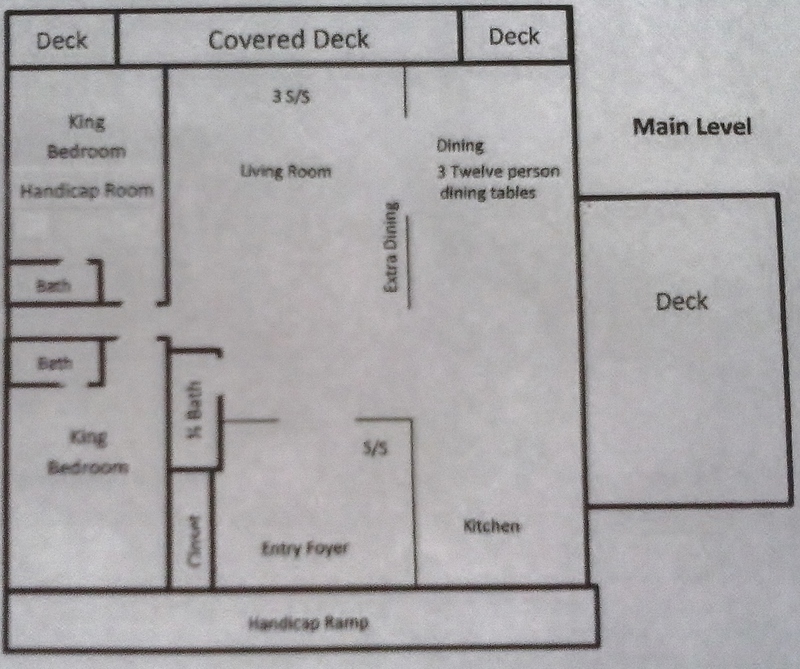 Main level offers two large bedrooms. 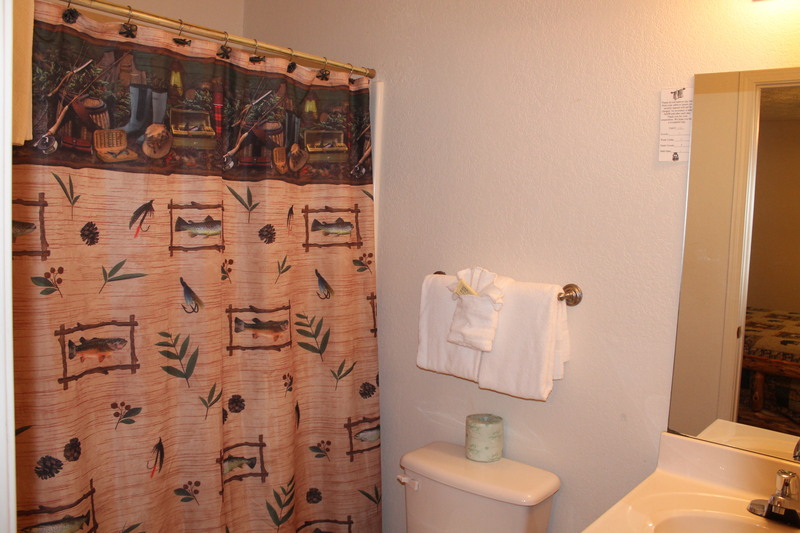 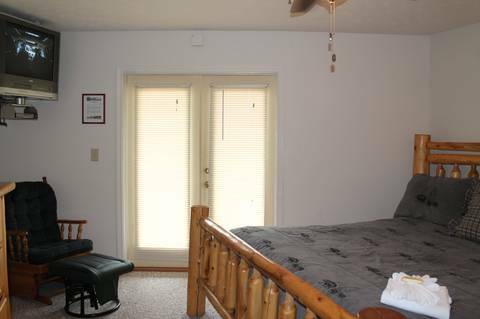 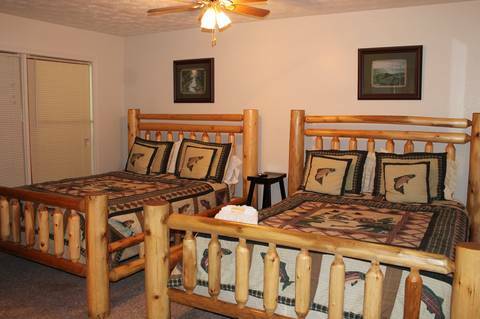 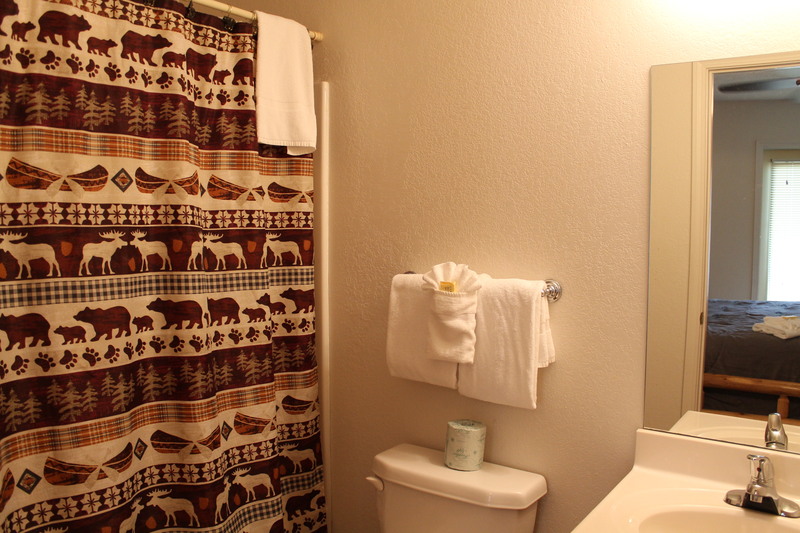 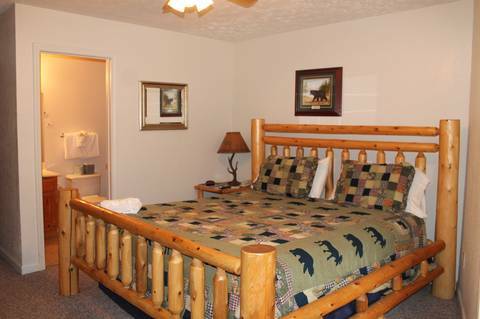 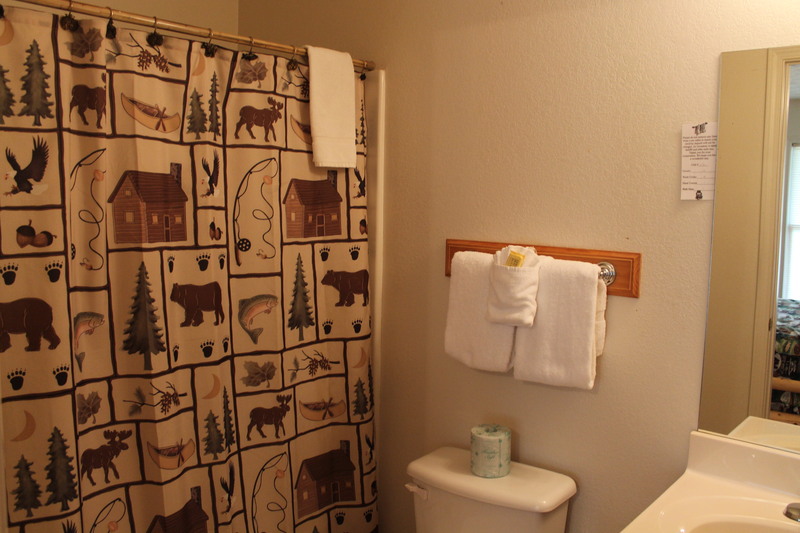 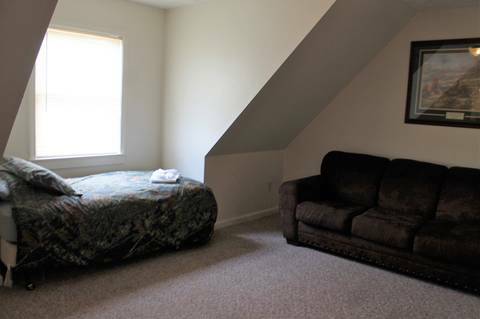 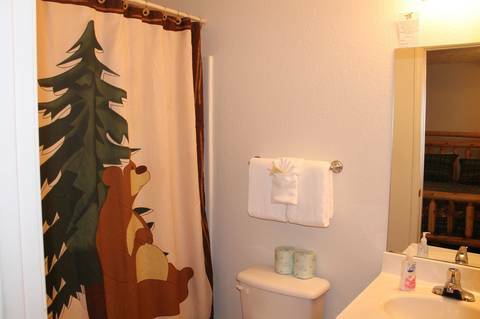 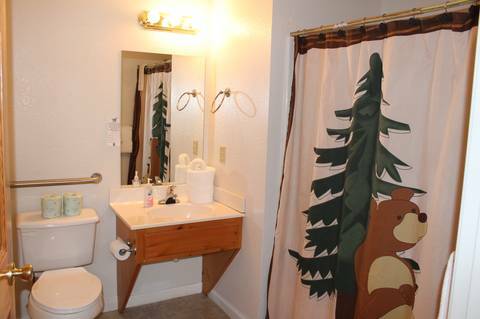 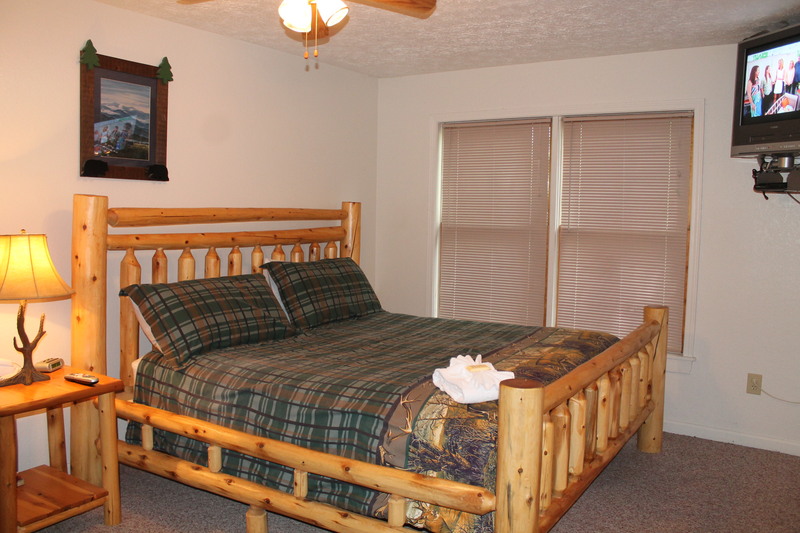 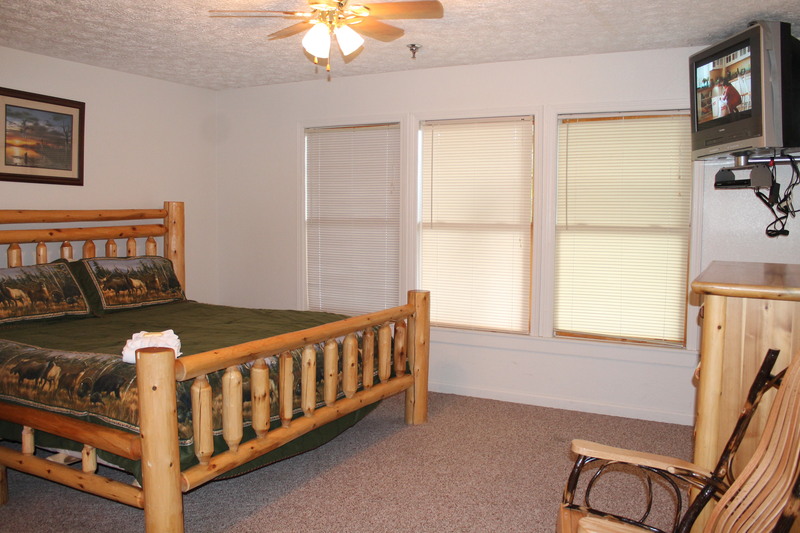 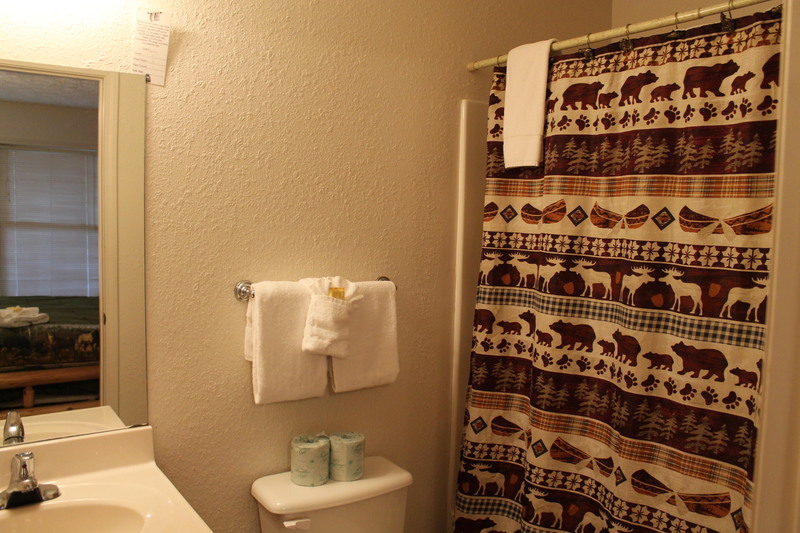 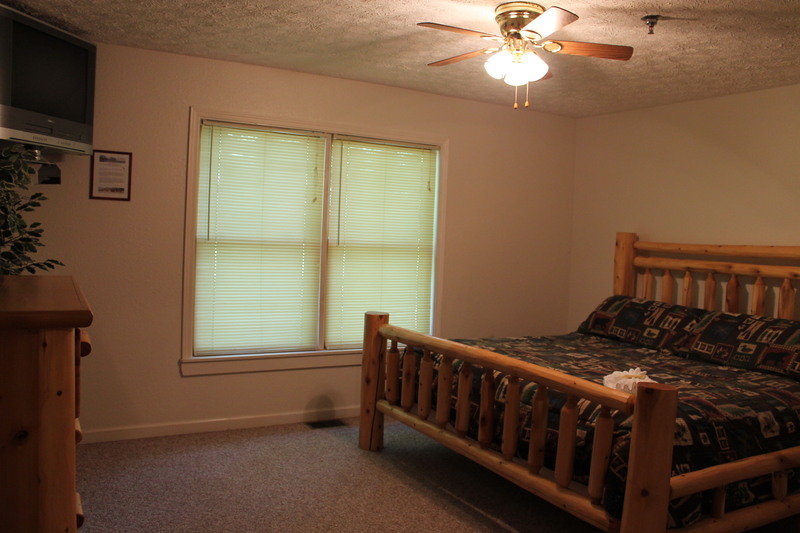 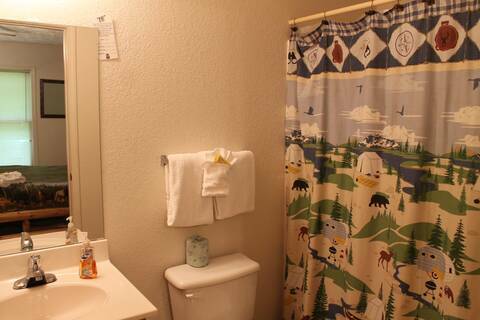 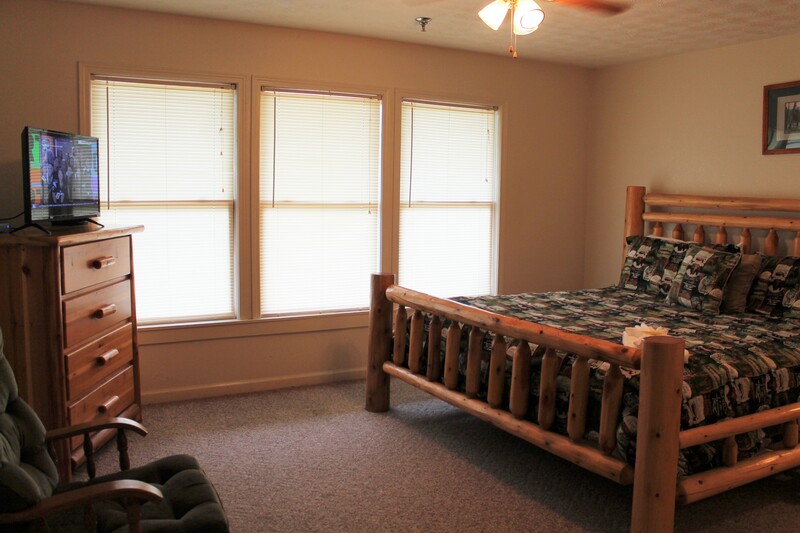 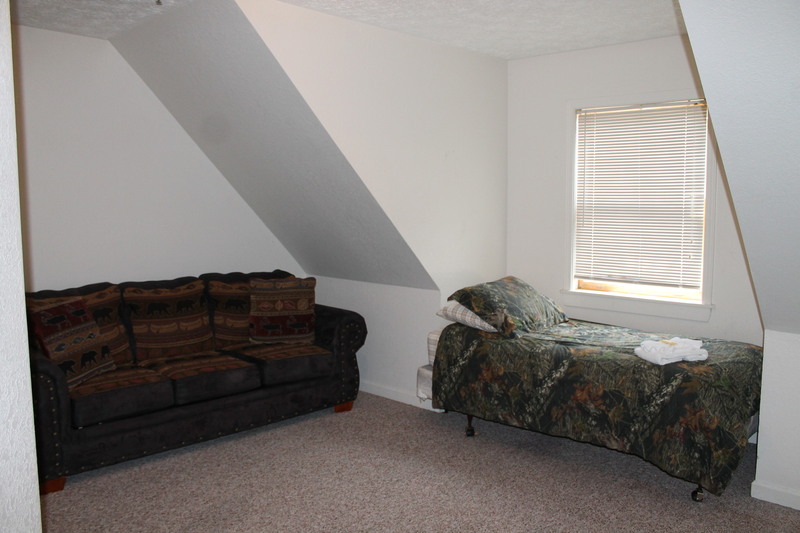 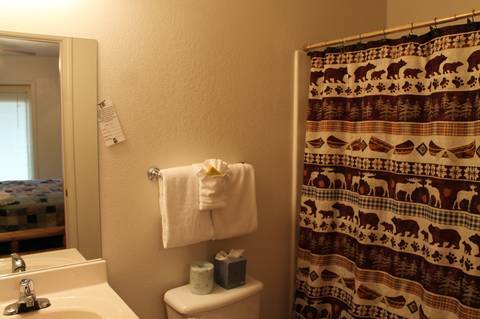 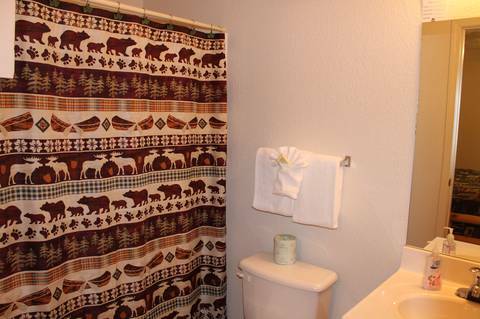 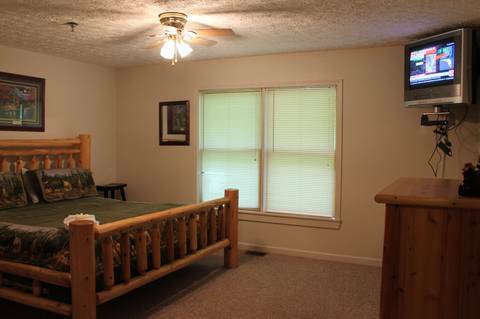 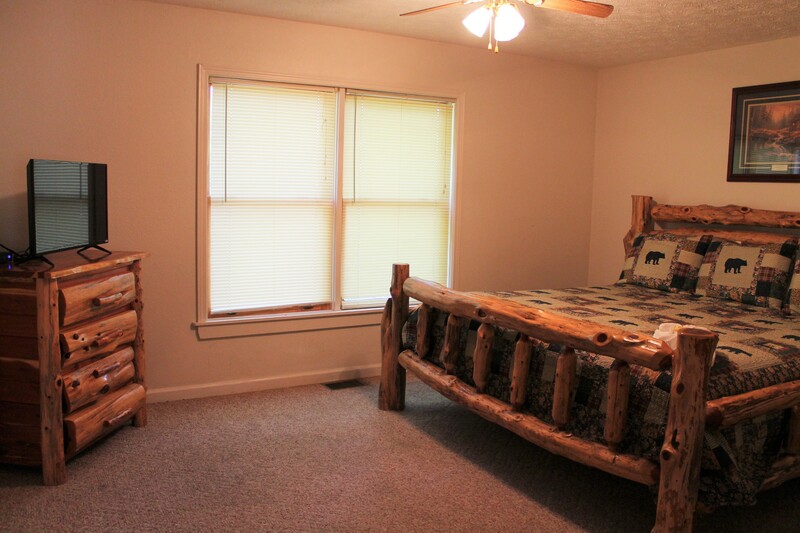 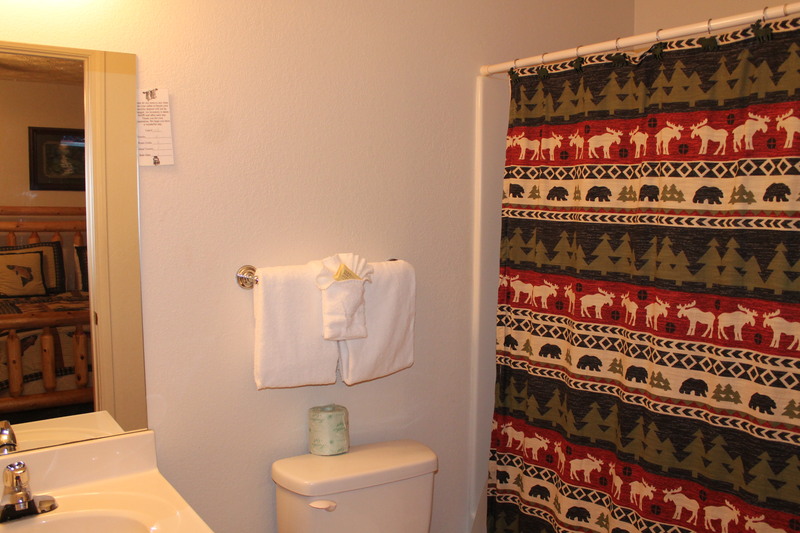 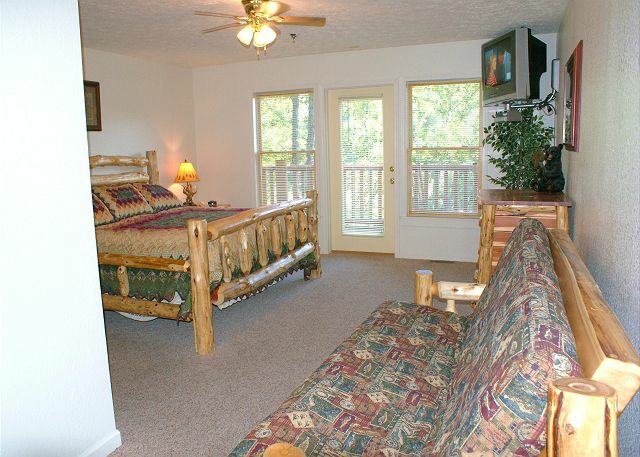 One King bedroom with private bath is handicap friendly with grab bars by the toilet and in the tub/shower, TV & VCR/DVD combo and a sofa sleeper. 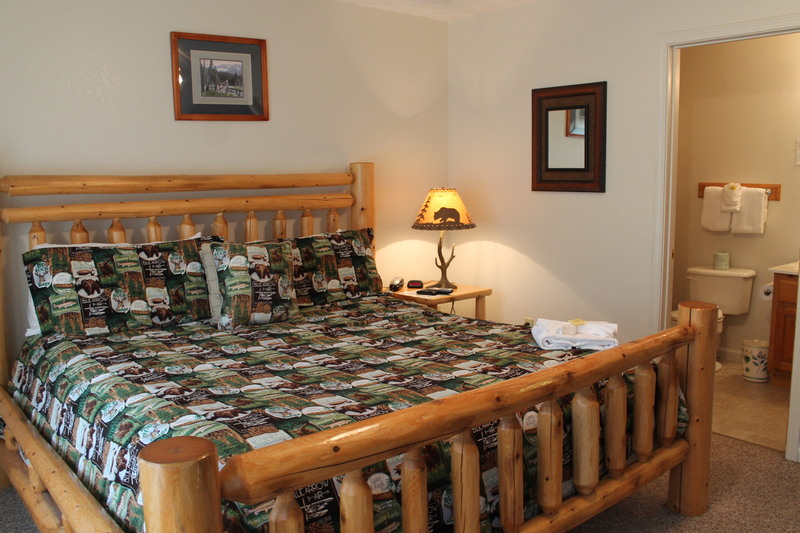 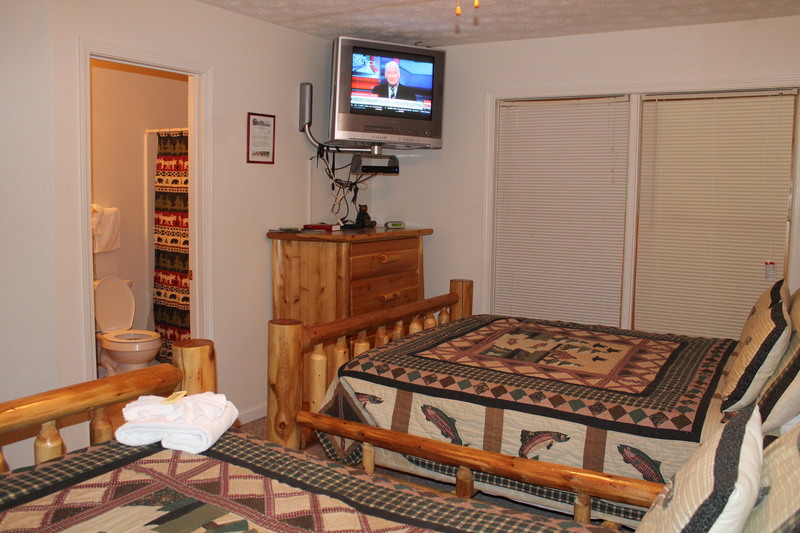 Second bedroom has a king bed, sleeper sofa, with private bath and TV & VCR/DVD combo. 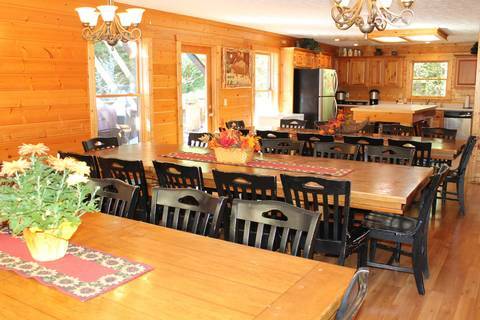 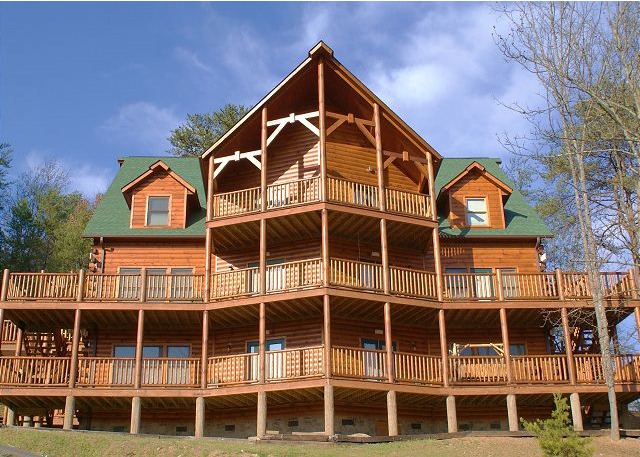 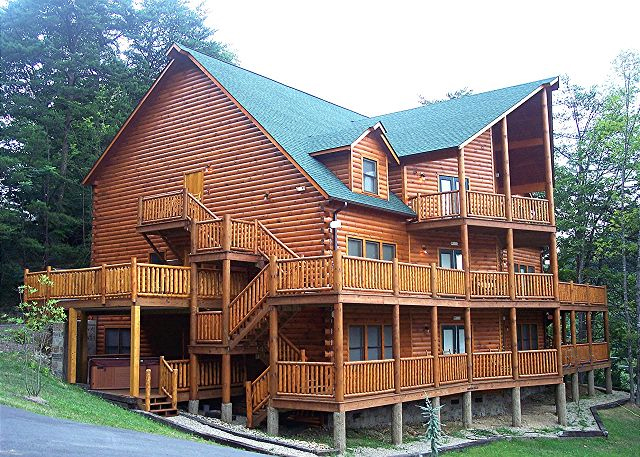 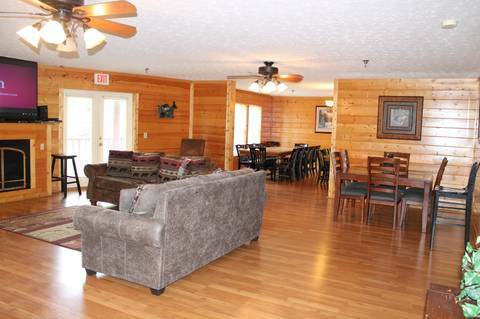 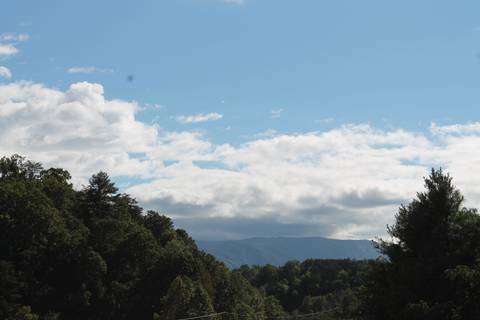 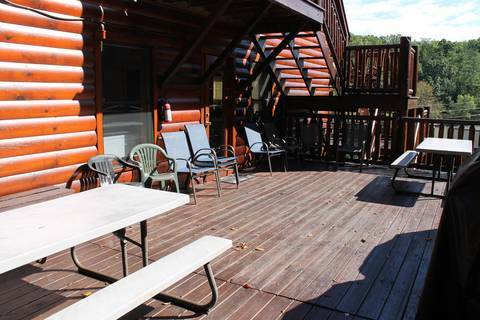 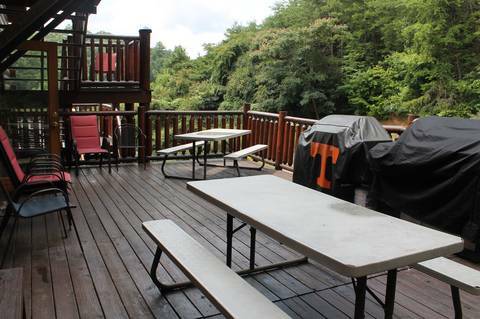 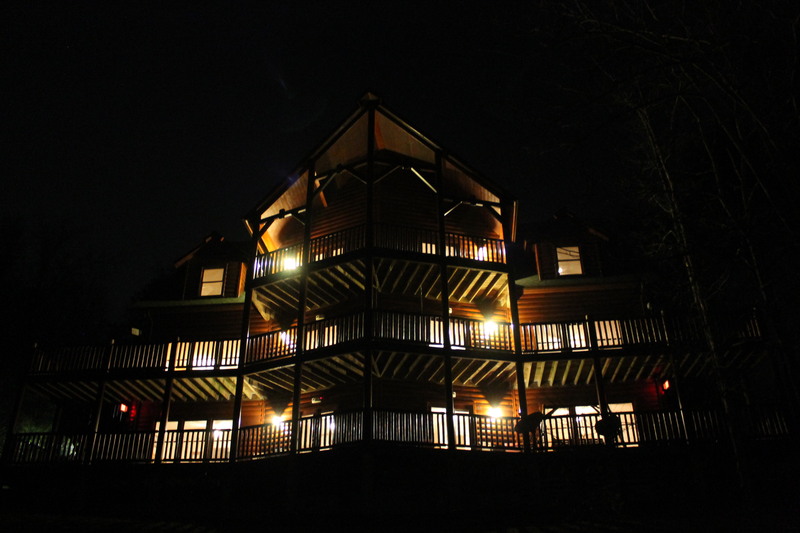 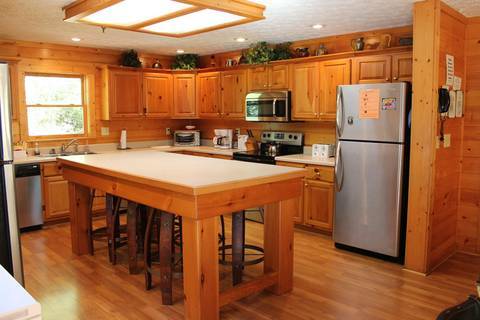 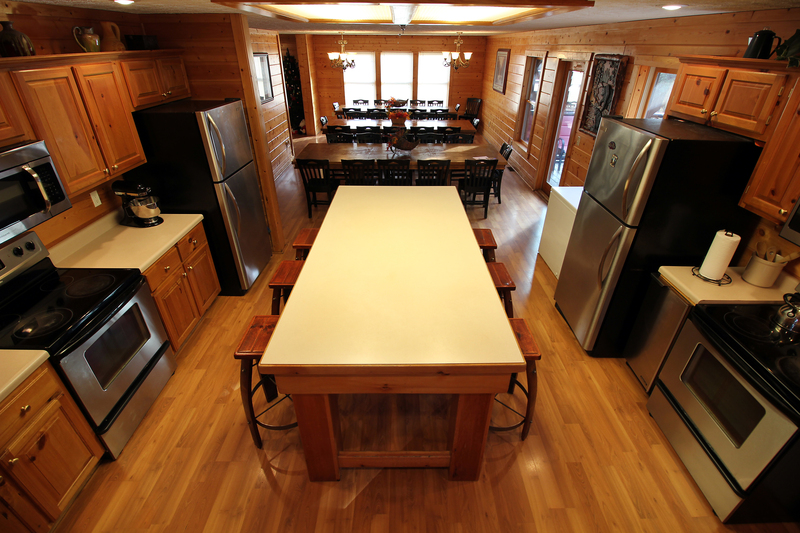 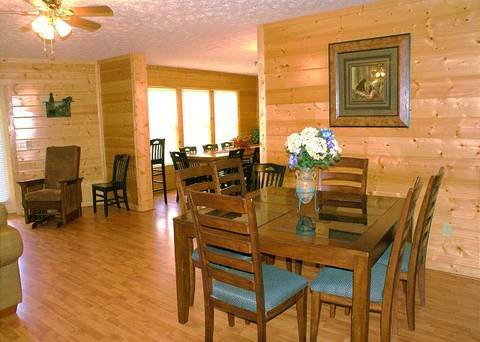 The spacious upper level features a game room, 4 large bedrooms, laundry room and half bath. 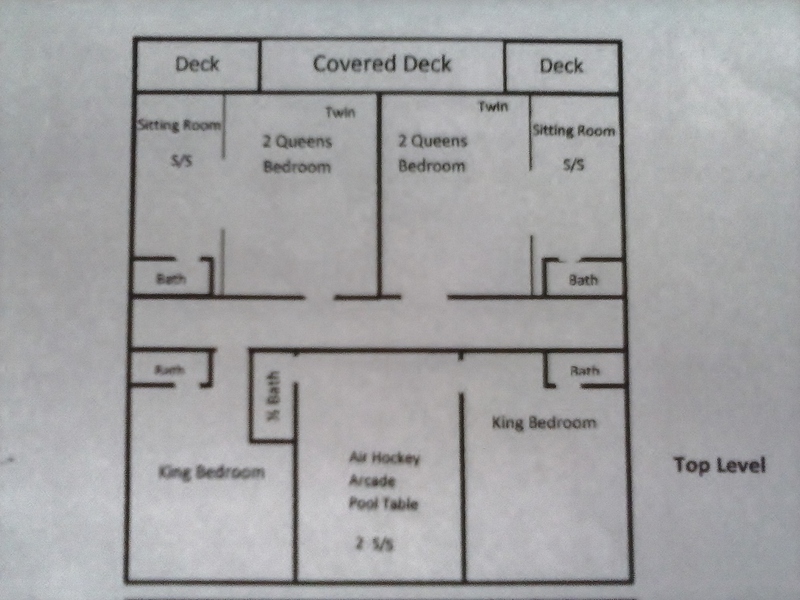 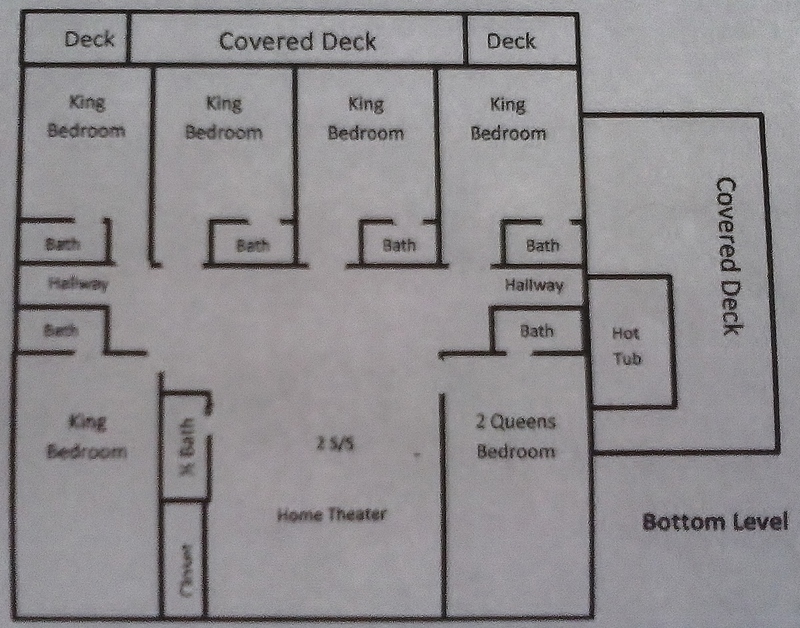 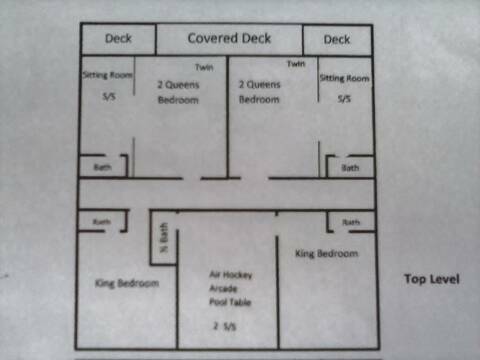 There are 2 King bedrooms with private baths, and 2 bedrooms that each have 2 queen beds, 1 twin bed, and a sleeper sofa with private baths. 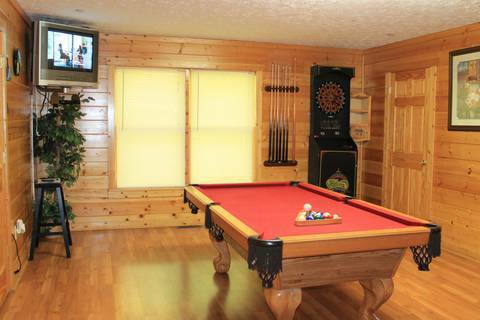 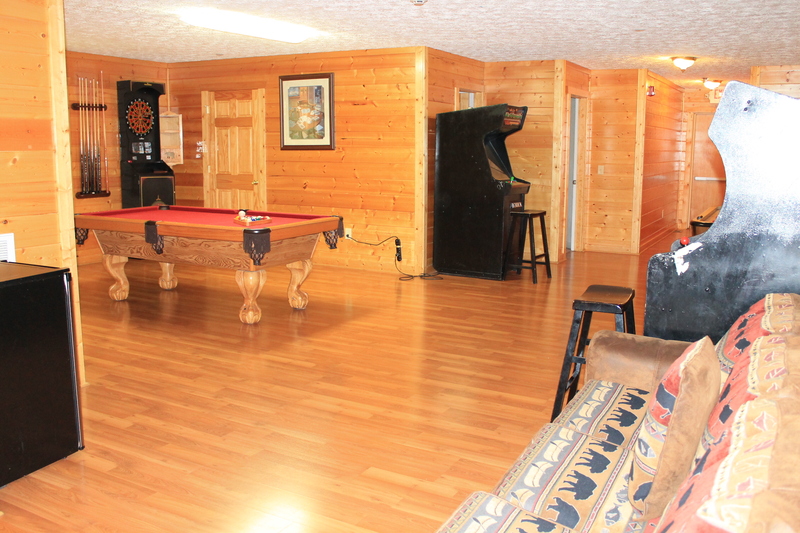 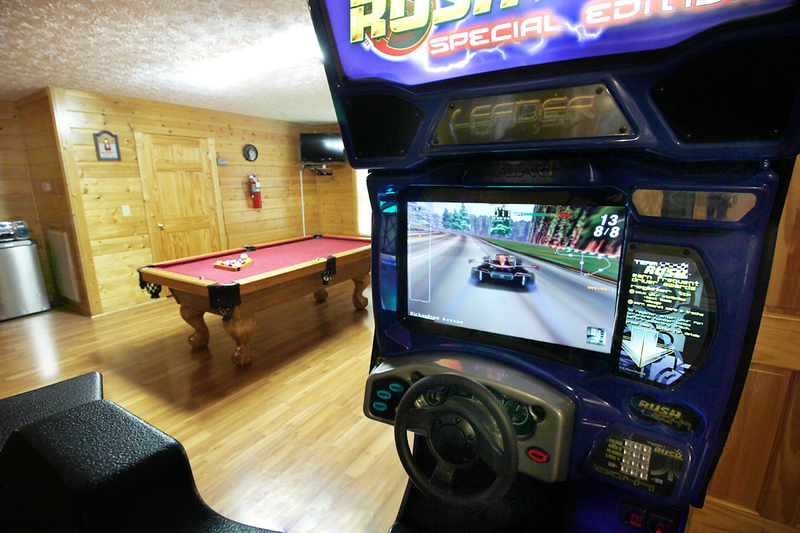 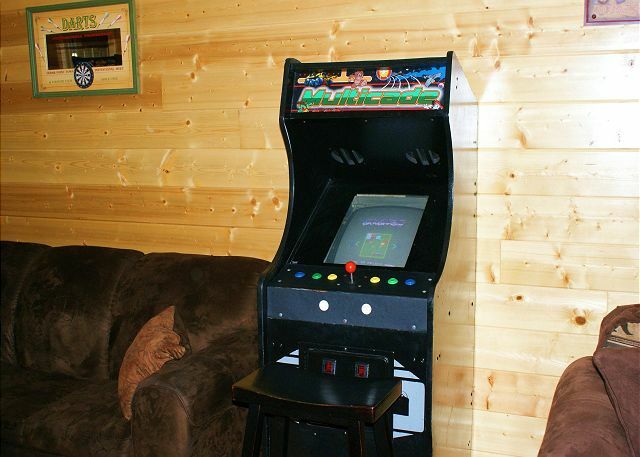 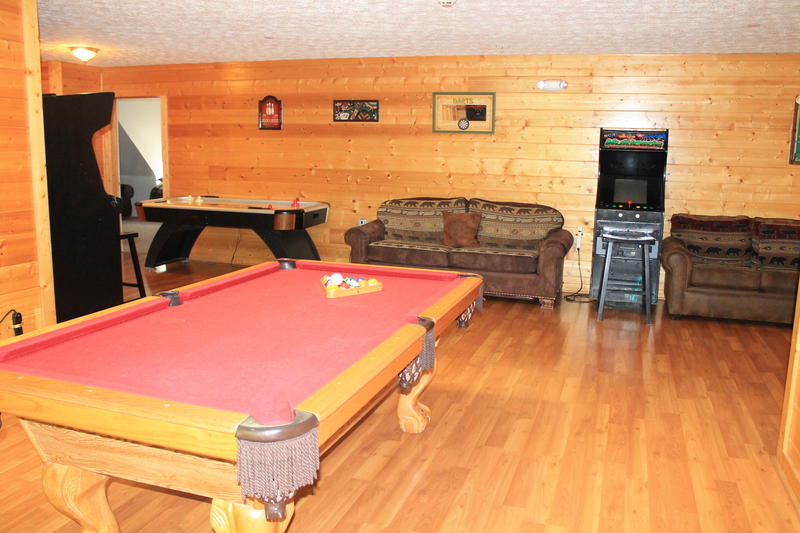 There's something for everyone in the large game room: pool table, three free play arcade games that have 22 games each, stereo, TV & VCR/DVD combo, and two queen sleeper sofas. 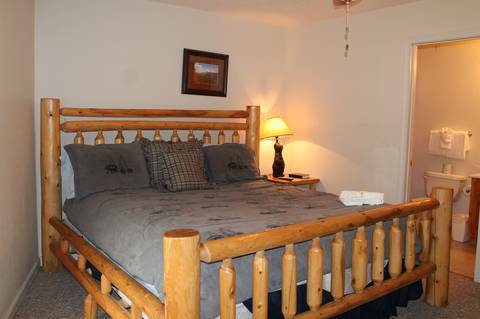 The bottom level offers 6 bedrooms – 5 with king beds and private baths and 1 with 2 queen beds and private bath. 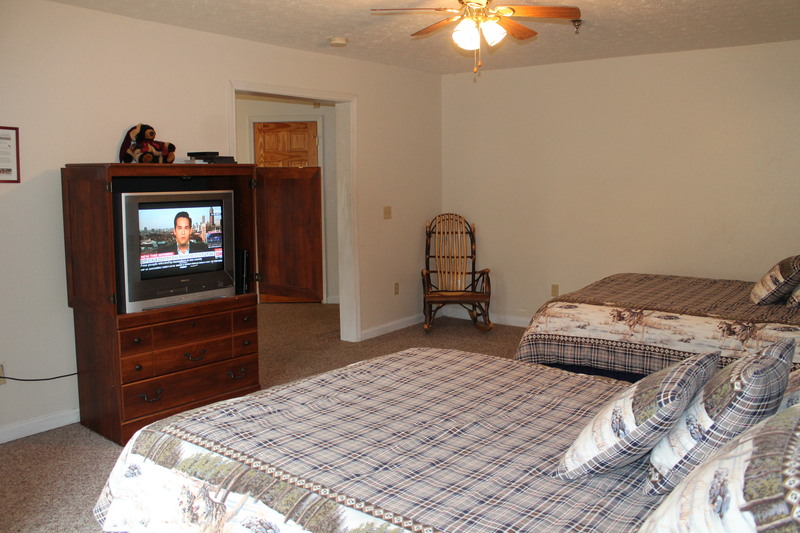 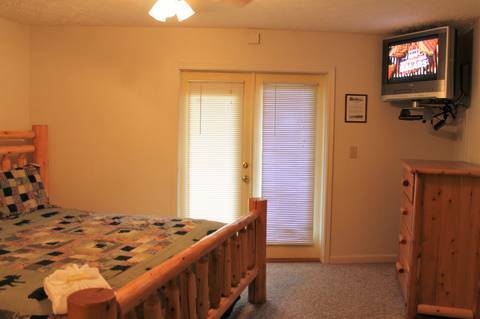 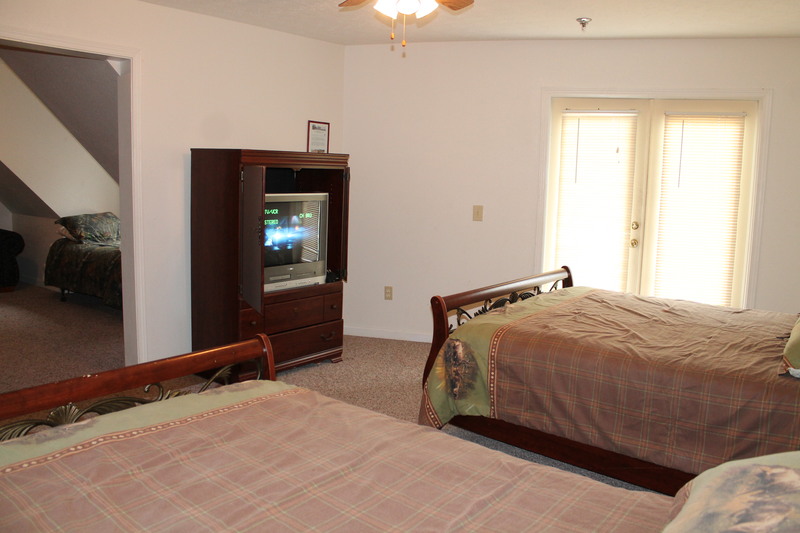 All bedrooms have TV & VCR/DVD combo. 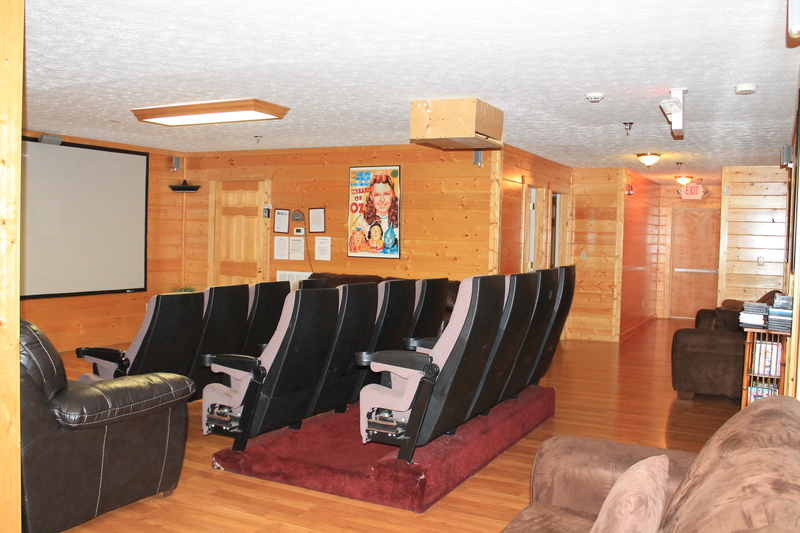 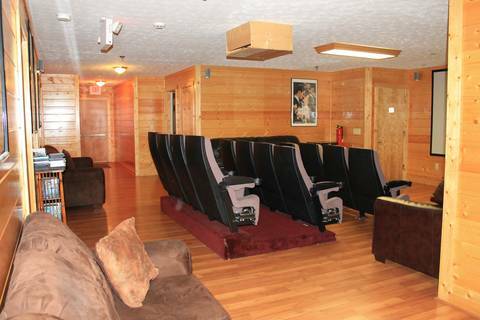 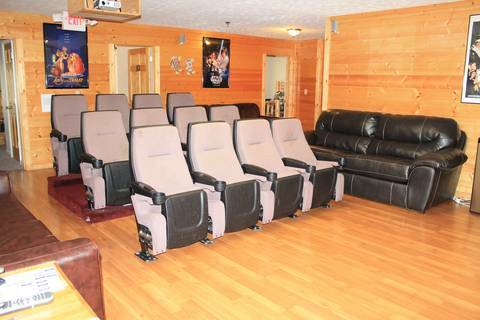 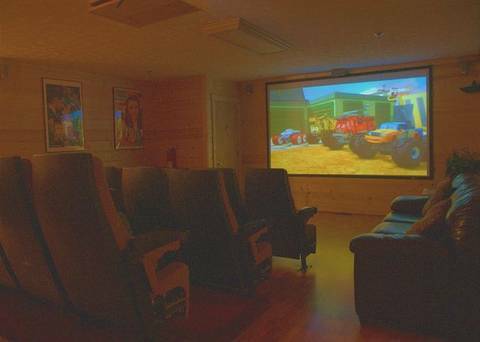 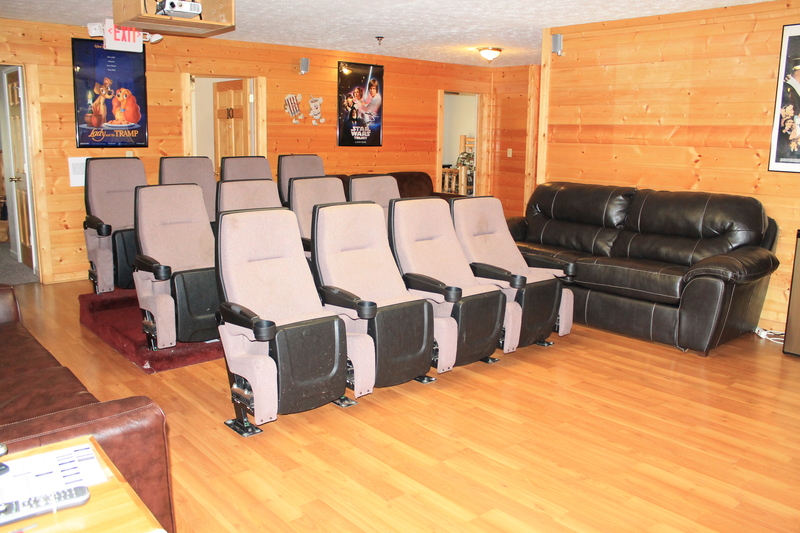 The home theater on this level offers a huge 86 inch flat screen TV, theater seats, 2 couches and 2 sleeper sofas – perfect for family movie night! 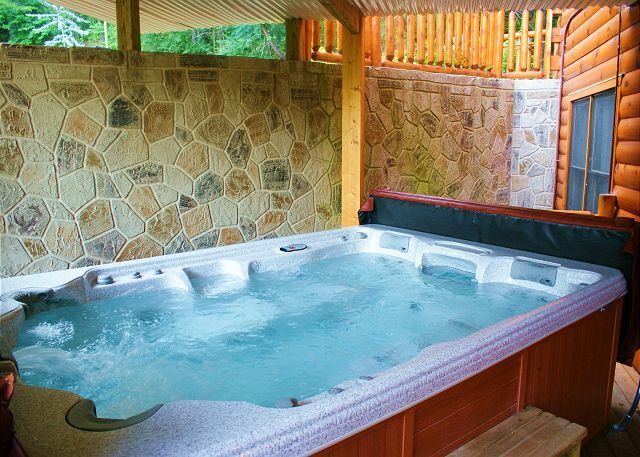 The large hot tub is off this level on the covered deck - soak away those aches & pains from your day of playing at all the attractions Pigeon Forge has to offer! 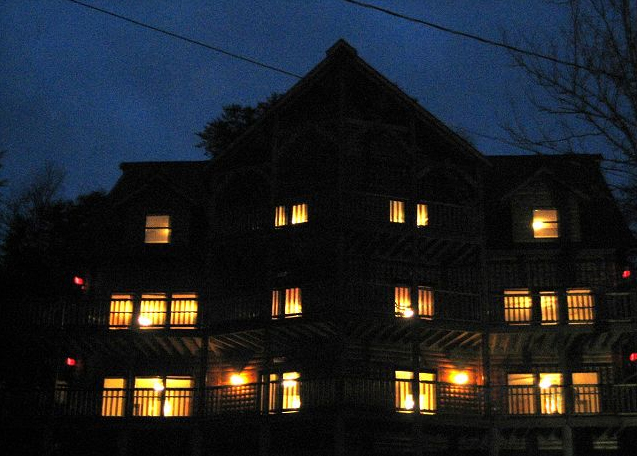 4 night minimum June and July, Christmas through New Years. You must be 25 or older to rent this unit -- NO COLLEGE GROUPS.